Well for you fellow Oprah fans out there, we're getting down to the wire: it's nearly time for The Oprah Winfrey Show to officially end its 25-year run. I was 14 when it debuted in 1986, so I feel like I've grown up with Oprah. I've been there through the changing hairstyles, the changing weight, favorite things shows, makeover shows, and her adventures with her BFF, Gayle King. And I must admit, I'm feeling bittersweet about the impending finale. 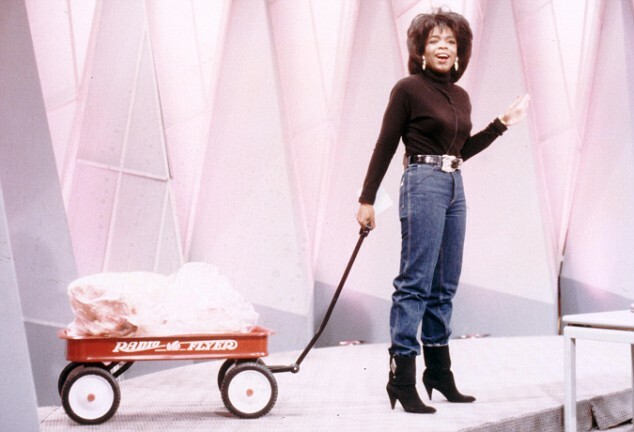 Now I know that some people (like those in the cattle industry) can't stand Oprah. I must admit that there were times where she got a little too annoying for my taste and seemed to have the same celebrity guests on way too many times (John Travolta AGAIN?). Some may also want to pummel her over the head for introducing the world to Dr. Phil. However, the pluses from being a regular Oprah show viewer outweighed the negatives for me. Oprah's show was more than Maya Angelou reciting poetry and Tom Cruise jumping on a couch. Once the lights on the set turn off a final time, who is going to inspire me? In a world dominated on a daily basis by tragic news, her program often served as a reminder that there are actually good people still out there and that miracles do happen. She shied away from the freakish topics often seen on Maury Povitch and Jerry Springer, opting instead for topics that improved her viewers' lives. I enjoyed her self-improvement shows the most; if it weren't for Oprah, I probably wouldn't have heard of Louise Hay and the concept of positive thinking, which has transformed my life. For most people, the more memorable moments of the show include the ones where a slimmed down Oprah came out pulling a wagon full of fat equivalent to her weight loss, and gave away brand new Pontiacs to her surprised audience. But I'm also going to remember the shows that featured safety tips for women against sexual assault and kidnapping, and the dating advice discussions. When I learned about a little dating book on Oprah called "He's Just Not That Into You", it transformed my whole attitude about being single and dating. If it hadn't been for Oprah, the world may also not have known about Mattie Stepanek, the young boy with muscular dystrophy and an unbelievably big positive attitude who was an ambassador for peace. Throughout all 25 years, I couldn't help but like the lady. No matter what you think of her, Oprah had a way of coming across as genuinely approachable with the ability to make anyone she spoke to completely comfortable. I've no doubt that's the major reason why so many people went cuckoo in her presence. It's important to note that during this last season, one of her shows was about TV talk show hosts who came before her or aired around the same time, people including Phil Donahue, Sally Jessie Raphael, Ricky Lake, and Geraldo Rivera. Oprah acknowledged Donahue for his ground-breaking program and said that if it hadn't been for him, they may not have been an Oprah Winfrey Show. 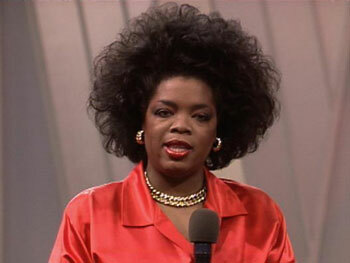 Maybe her "retirement" from this form of TV is long overdue, but I'm going to miss Oprah. How about you? 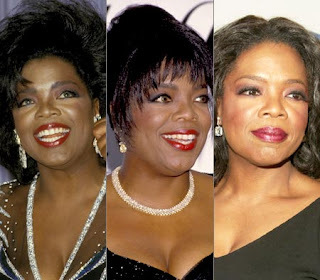 Were you an Oprah fan, or are you happy the show is going off into the broadcast sunset? My bride is bummed as well. But don't worry.. look how many folks have come out of retirement because they simply still have too much to say.. sing.. or do. I'm sure this won't be the last we see of her. One things for sure, her show was an incredible avenue for enlightenment and awareness. I wonder if anyone will ever come close to what she had? I will miss her too...and I love what you wrote about her. 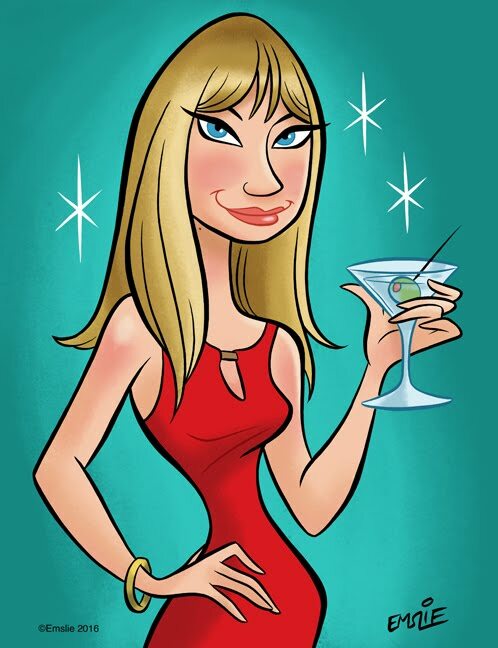 We haven't had TV for awhile but I watched her shows for years and I enjoyed many of the episodes. I loved the road trip she and Gayle took. Very funny. I would love to have dinner with Oprah and Gayle...lots of wine, lots of laughter. I love your blog too. Thanks. I have to say that I don't like Oprah in many different ways,BUT I have always respected that she represented a "Do something!" approach and her encouragement to donate along with her own money to many of the right places. She proved she was not a stingy billionaire unlike many others. I hope there will be someone else positive to pick up that TV format the same way she did from Donahue and others before her. You wrote a very good piece, I agree with you 100% and I will miss her. I was very moved by her last show and even printed out her inspiring speech. As many of her guests said, it's not 'goodbye' but 'see you later'. I can't wait to see what she'll do next. I almost cried during the last show. She gave some sage advice. It's just not the same knowing she won't be returning in the fall with new shows!